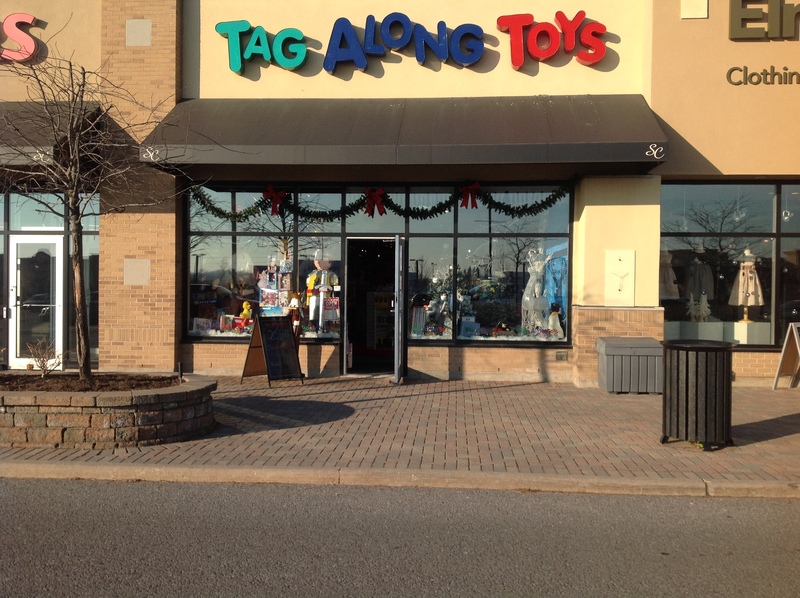 Doing my part this Christmas to shop locally…..
Last night I had the opportunity to attend Tag Along Toys 12th Annual Customer Appreciation event in Kanata. Patti Taggart, the owner extended the invitation to all of her past, present and future customers. Everyone was welcome to attend! There were some obvious reasons to attend this event, especially at this time of year. With 20% of all items in the store and 30% off of all Thomas the Train accessories it was a Christmas Shoppers dream. However, it seemed like it was much more then that last night. Supporting a social media friend who is also a fabulous entrepreneur in Ottawa just felt right. The night was very busy with shoppers finding that perfect gift, but there was a general mood of happiness in the store. A couple of perfect touches to the evening were the wine & cheese offered by Santa’s Helper at the back of the shop and the Shopper’s Helper who offered beverages to the customers waiting in line. It was also a lovely time to catch up with fellow social media people like @CanadianDadBlog @missfish @smart_spaces @paminottawa @bitofmomsense @KarenWison and of course @TagalongToys! I can say that several hard to find items were picked up at the event last night for my three. Including a couple toys that they tested at the WHAT’s Up Family toy testing event in Toronto last month. 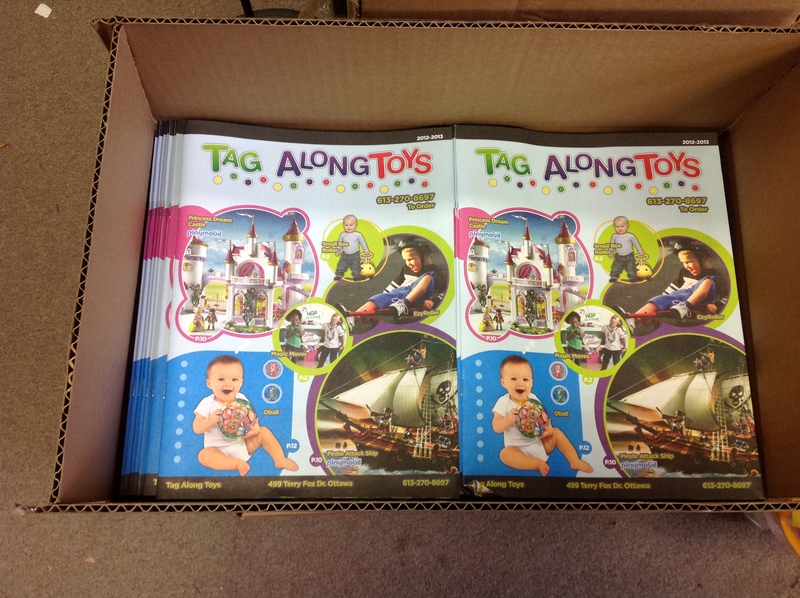 TagAlongToys is run by a parent, social media maven and entrepreneur right here in the Ottawa area. Check her out online at www.tagalongtoys.com or in person at her store at 499 Terry Fox Drive in Kanata. Shop Local! I missed you? 🙁 I was so happy for Patti and her crew — what a very successful event! The place was packed and the shelves were stocked with unique and wonderful things …. I could have spent all night (and all my money!) there last night!